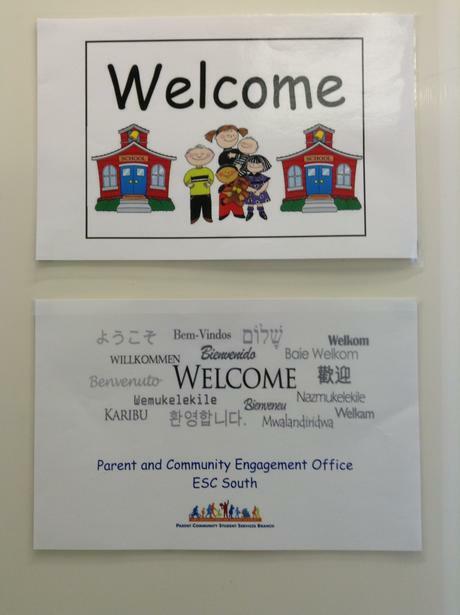 The South Educational Service Center Parent Engagement Team seeks to strengthen partnerships between families and schools that are mutually supportive and accountable for the success of all students. To see a map of the South ESC, click here. 1. Provide a welcoming environment for families and invite them to participate as equal partners in the education of their children. 2. Provide parents opportunities to aquire necessary information, knowledge, and skills to support their children's education at home and at school. 3. Engage parents in the school's volunteer program so they can participate in supporting school-wide, classroom and parent involvement activities. 4. Respond to parent concerns and/or complaints to ensure child's educational needs are met. 5. Comply with all LAUSD, State and Federal requirement regarding parent involvement. We, at the Parent and Community Engagement Center in the South, believe that children learn best when schools collaborate with parents as equal partners in their children’s education. Parents can partner with schools by promoting a culture of literacy and high expectations at home and at school. They can participate in school events and on committees, in addition to volunteering and serving in parent centers. 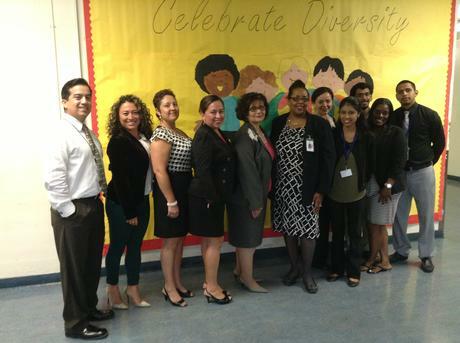 Our goals revolve around assisting schools with developing welcoming environments for parents while offering parents a variety of opportunities to partner with the school community to improve student achievement so that all students will graduate from the Los Angeles Unified School District prepared for college and future career endeavors. To view a list of schools, click here. We invite you to become an avid reader of our monthly Newsletter. Open the attachment located in the LOCKER and feel free to share it with your school community!